Flatfoot, also known as "fallen arches" or Pes planus, is a deformity in children’s feet in which the arch that runs lengthwise along the sole of the foot has collapsed to the ground or not formed at all. Flatfoot is normal in the first few years of life as the arch of the foot usually develops between the age of 3 and 5 years. Flatfoot can be rigid or flexible. Flexible flatfoot usually resolves without any treatment needed unless pain is involved. Rigid pediatric flatfoot however can cause joint pain in the leg when walking or an aching pain in the feet and usually requires intervention. Pediatric flat foot is a common condition that can run in families. 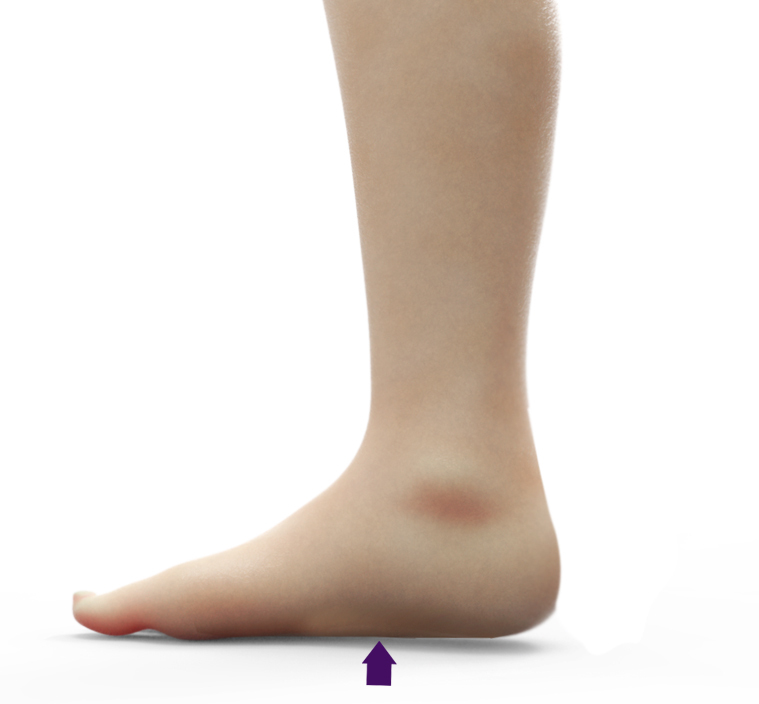 it is often caused by loose connections between joints and excess baby fat deposits between foot bones which make the entire foot touch the floor when the child stands up. A rare condition called Tarsal Coalition can also cause flatfoot. In this condition, two or more bones of the foot join abnormally causing stiff and painful flat feet. If your child does not exhibit any symptoms your doctor may monitor your child's condition as they grow to assess for any changes. If, however, your child has symptoms, your doctor may suggest some of the following non-surgical treatments.